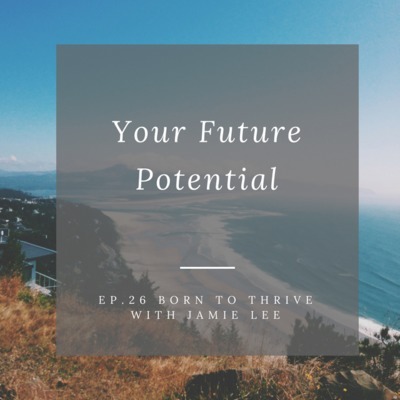 Welcome to the Born to Thrive with Jamie Lee podcast, where I present ideas, tips and tools to help ambitious people become bolder, braver and better paid. I work as a leadership and negotiation coach. I focus on helping women in tech who hate people pleasing and office politics rise through the ranks. I met Amy Auton-Smith at Catalyst Conference in March 2019. 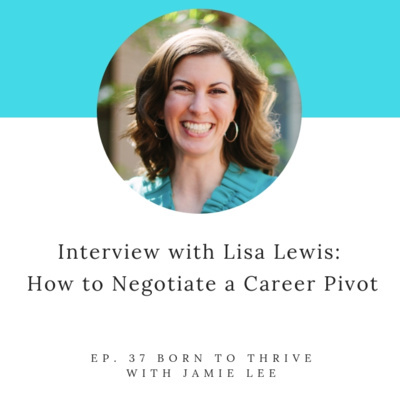 She shared a salary negotiation story of how she successfully negotiated a win-win solution when the budget for her position was significantly reduced. 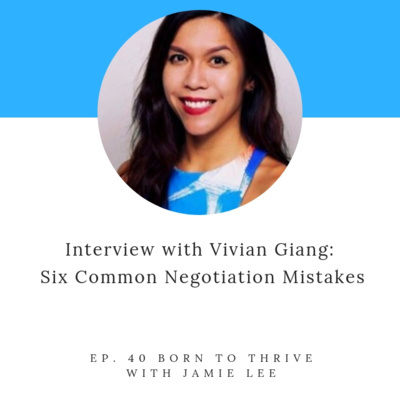 I immediately knew I'd love to have her share both her negotiation story and the story of how she started her startup on the podcast. Amy is a long-term champion of equality and diversity. 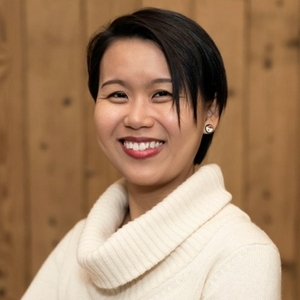 As CEO of FairFrame, she's working to bring cutting-edge tech and diversity and inclusion research outcomes together to help mitigate the effects of unconscious bias at work. Amy is passionate about helping employers and leaders everywhere to ensure that everyone can achieve their true potential at work. Check out Fairframe.io or on Crunchbase. 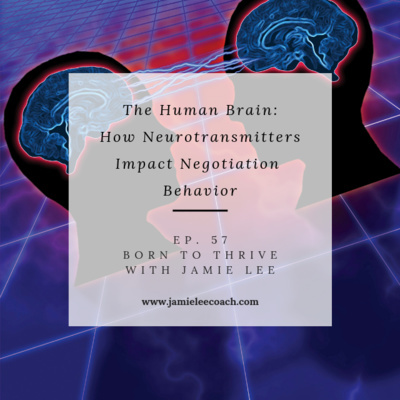 As a negotiation geek, I love thinking about how the brain impacts our negotiating behaviors. The brain is a fascinating organ. It's the human computer that can process a trillion bits per second. Yet scientists say we've only barely begun to understand how the brain works. We know a few basic things, like how the brain evolved over millions of years and how some chemical messengers (or neurotransmitters) relay information that trigger thoughts and emotions that drive our behavior. In this episode, I talk about three neurotransmitters: Serotonin, Oxytocin, and Cortisol. My intention is to raise our awareness about our brains and the impact of these neurotransmitters so we can understand: Our own impulses at the negotiating table, The why behind how other people react to your ask, and How to create better strategies for success with all this in mind. We all know self-confidence helps you get more of what you want. But how do you get confident if you haven't yet gotten what you want? There's a better way than "fake it till you make it," pretending to be something you're not, or blowing yourself up like a blowfish... The best way is to generate confidence inside of you, by you and for you. This is something I help my clients do so they can become bolder, braver, and better paid. 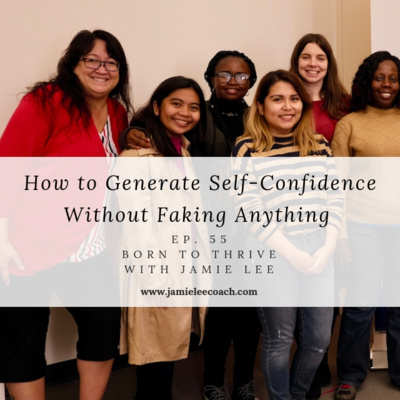 This episode is a replay of a webinar where I shared five simple steps anyone can master to generate self-confidence. 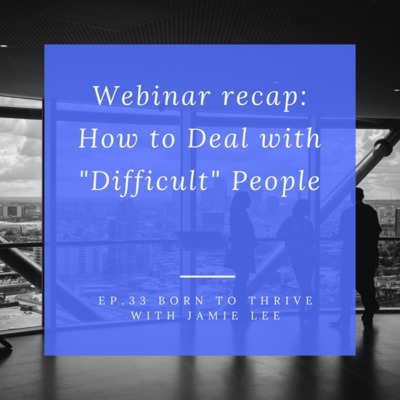 If you'd like to watch and not just listen to the replay, come to www.jamieleecoach.com or email me at jamie@jamieleecoach.com. Ep. 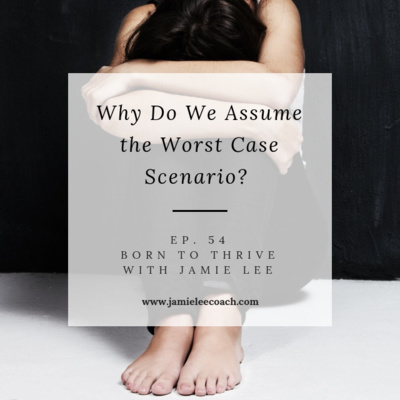 54 Why do you assume the worst case scenario? Clients often tell me, “It feels gross to claim value for myself. It feels like bragging. 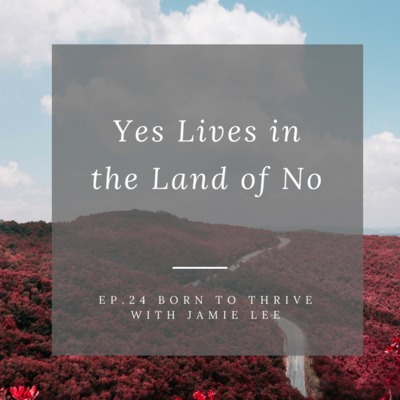 It’s uncomfortable to assign dollar value to my accomplishments.” In this episode, I dispel a persistent myth -- one that was ingrained in me by the patriarchy from a very young age -- that holds us back from generating real self-worth and authentic self-confidence. Find out how to generate power, so you can claim value for yourself and become unstoppable as a negotiator. 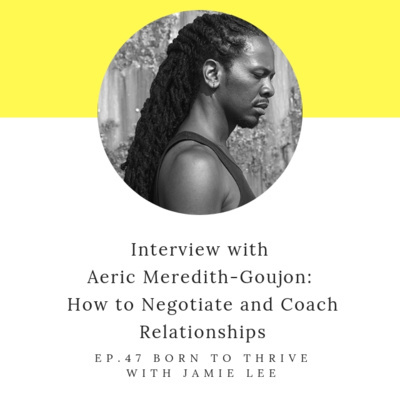 Here's where you can access transcriptions of previous episodes and get in touch with me: https://www.jamieleecoach.com/podcast Your review on iTunes would be super appreciated! "What the mind can conceive and believe, it can achieve," said Napoleon Hill. What is your compelling vision for a fulfilling life and career? In this webinar replay, I walk you through 12 powerful questions I've asked my coaching clients to help you set some Wildly Improbable Goals (WIGs for short). Why? Because WIGs will: - Challenge your limiting beliefs - or the harpings of your Itty Bitty Shouldy Committee - Inspire you to believe in yourself beyond your situation, socialization, or circumstances, and that, my friends, is POWER - Fuel your courage as you go to make that bold and brave ask in 2019 Go here for the bonus worksheet: https://drive.google.com/file/d/1fNQ-hEHK83n3h7k9QBN650r0Lr3Q9WbN/view?inf_contact_key=3f5d78fd82b019c1d2f8c476606cdc3a Come check out www.jamieleecoach.com for more details on my coaching services and more. How do ambitious people actually become bolder, braver, and better paid? By making a contribution. By committing to their life's purpose. By risking their authenticity, even when there's only $500 in the back pocket and not much else, other than a dream. This the story of Klay S. Williams, whom I met at a Dress for Success event in 2016. 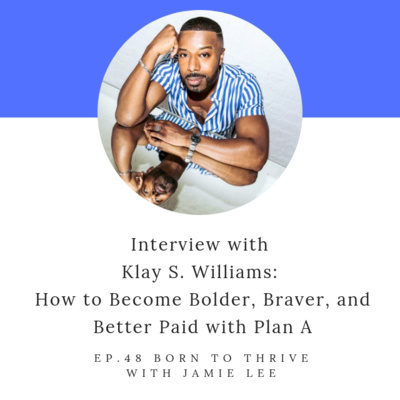 Klay helps Fortune 500 professionals find their true purpose and satisfaction in four areas of life: Career, Relationships, Spiritual Lives, and Health. He's the founder of Plan A Enterprises, LLC, a full services lifestyle firm. He's also an author, speaker, and host of Plan A Konversations (the podcast) and Bookstr Wellness, a new digital TV show showcasing authors in the mind-body-spirit space. What did you desire for yourself in the past? What did you think and believe in the past that have now become your current reality? What do you believe now? What is your dream for the future? These are some of the questions I answer for myself in this career retrospective introspective episode. Please enjoy this special replay of Free Coaching Live session recorded on Wednesday, 11/21/18. With a live audience, I shared - My journey in becoming a leadership and negotiation coach helping ambitious women become bolder, braver, and better paid - The distinction between information and insight and the impact of emotions on our actions - The power of self-appreciation for effective self-advocacy for negotiation success Then in the second half, I coached a volunteer through a twenty-minute exercise and helped her strategize and articulate the unique value she brings to her work as a project manager. 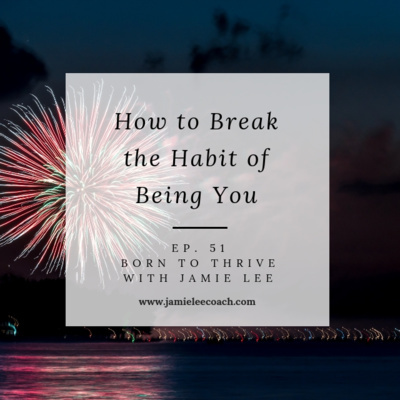 Check out www.jamieleecoach.com for other replays. What if you can decide how you want to feel in the future? What if you can use gratitude to fuel your strategic interactions so that you can become bolder, braver, and better paid? 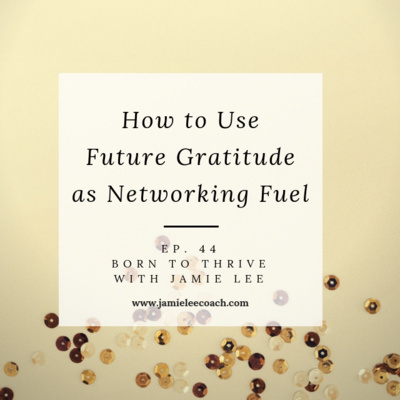 In this special episode, I share a quick five-minute exercise that you can do ahead of a networking event to transform how you think, how you feel, and therefore how you show up. How differently would you show up to ask for help, work, or money if you didn't have the need to please people? My bet is that you'd be bolder, braver, and as a result, better paid. I have a lot of experience with the people-pleasing trap, because I'm a recovering people-pleaser. 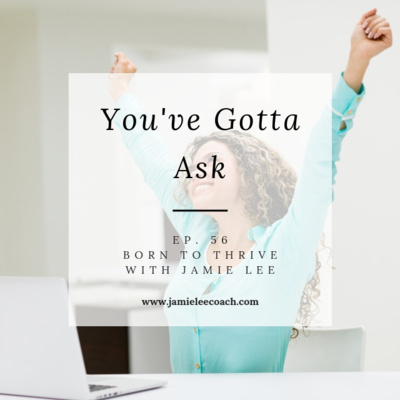 In this episode, I explain how this fear of displeasing others holds us back from asking, receiving, and thriving. You'll learn: - Why and how the life-long training to please others started - Why our brains confuse other people's displeasure as a threat - Why it's impossible to please others with who we are, what we say, or what we do - Three ways we can get triggered to sabotage our outcomes - Three ways we can work ourselves out of the people-pleasing trap - Five of my recurring stressful thoughts around pleasing people - How I turn these thoughts around to instill a new mindset of growth, appreciation, and confidence Come check out www.jamieleecoach.com for details on Small Group Mastermind, private coaching, and speaking services. In this bonus episode, I read chapter 42 from Byron Katie’s book - A Thousand Names for Joy. 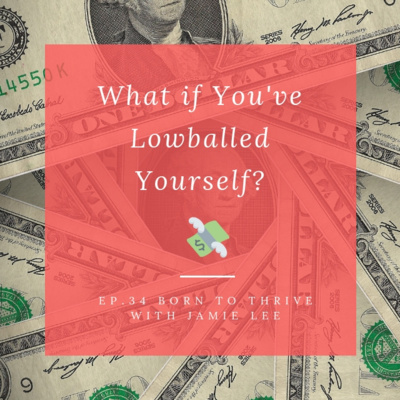 I share my own experiences in holding on to limiting beliefs about money and explain some new beliefs about money, value, and self-worth. What new and better story can you tell about money so that it can flow into your life like water? 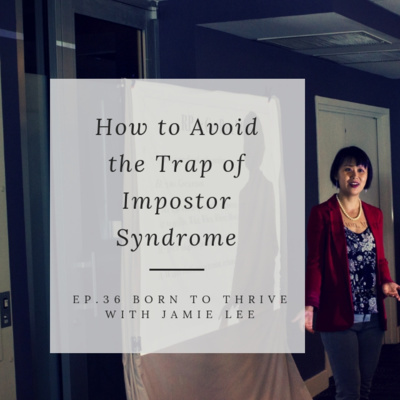 One of the most insidious traps in negotiation is the impostor syndrome. 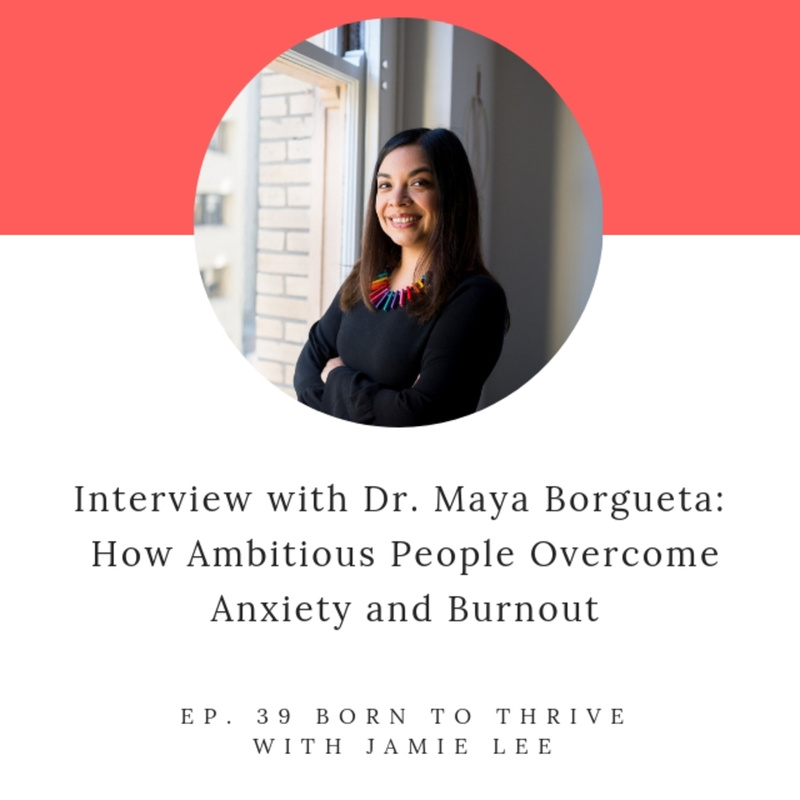 If you’ve ever struggled with feeling like you are good enough, or if you’ve sabotaged your outcomes because of imposter syndrome, you won’t want to miss this episode. 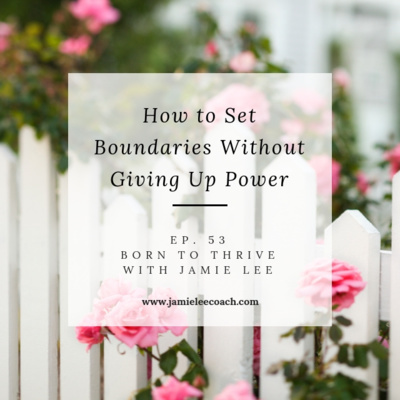 I walk you through the root of behavior that generates our results and concrete steps you can take to shift your mindset, from a place of lack to one of abundance, confidence, and power. It's no coincidence that the principles behind interest-based negotiation framework dovetail with time-proven leadership principles. 1. Success is 80% mindset and 20% tactics. My clients are applying this insight to reinvent their lives and careers from stifling to thriving. Success is an inside job. 2. Ask open questions to understand their why before seeking to be understood. 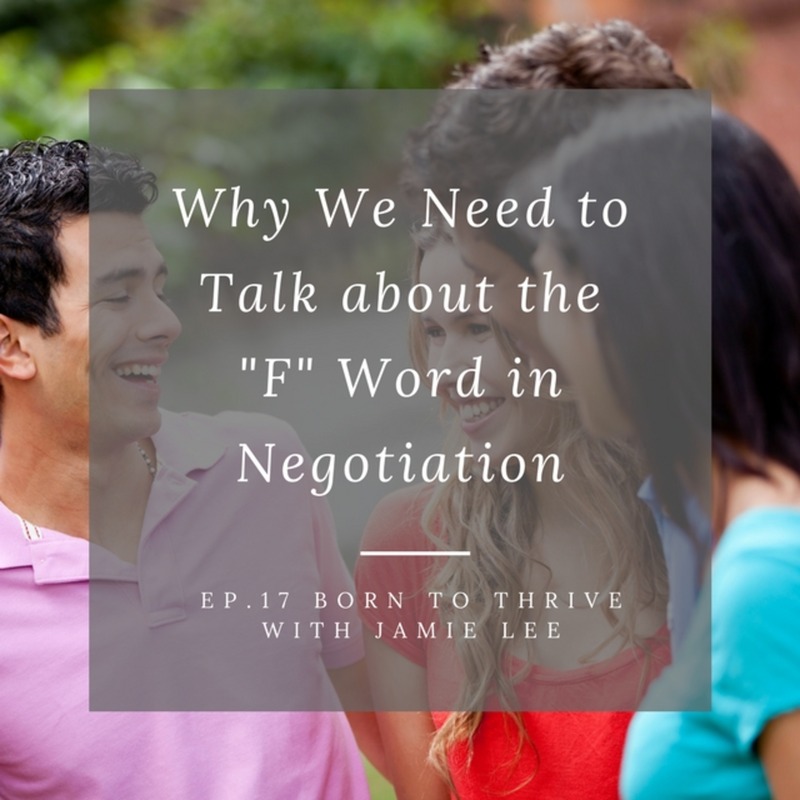 Far from being "nice," this is a powerful strategy that enables my clients to win over a room of naysayers, flip no to yes, and turn transactions into transformational conversations. 3. Be ready to tell a new story. My career changed when I stopped telling myself, "I can't do it," and started saying, "I will walk the talk I give." What new story will you tell? 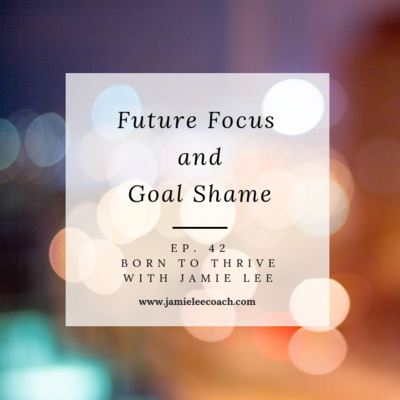 Come to www.jamieleecoach.com for future webinar updates and more. Ep. 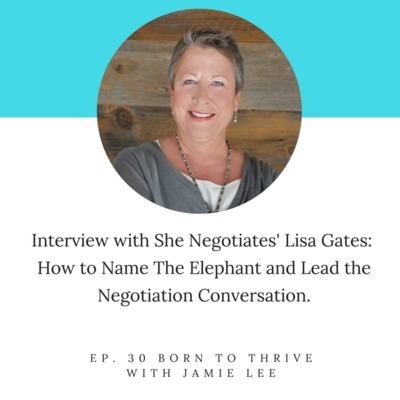 30 Interview with Lisa Gates: How to Name the Elephant. 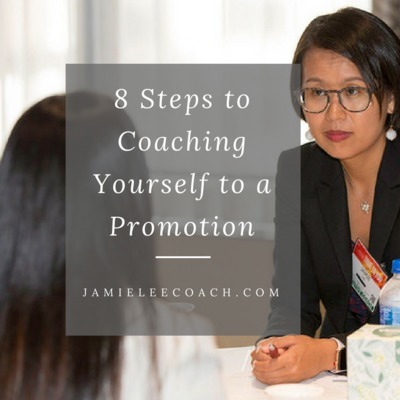 Take twenty minutes to brainstorm on your promotion strategy. What strengths do you bring to the table? What expresses the unique value of you? Who do you need to become to be leadership potential? I present step-by-step, easy-to-follow self-coaching process to help set the optimal direction for your custom strategy. 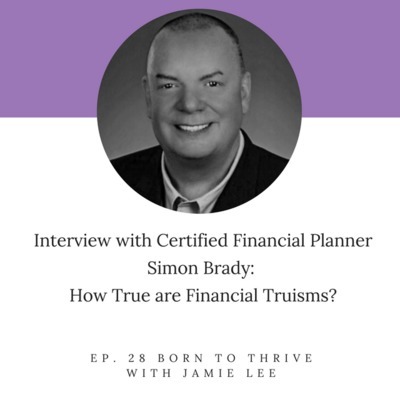 Ep.28 Interview with Simon Brady, CFP: How True are Truisms? Last month I was in Japan to give a workshop and I made a terrible mistake that had me feeling mortified and embarrassed. In this podcast I share the dirt: what happened, how I recovered, and what I learned from the experience. Assumptions have the power to undermine our communication, negotiation, and leadership. What are three dangerous assumptions that bully us silent and compromise our results? How can we shine light on our cognitive blindspots so that we show up powerfully without making assumptions? In the book The Prosperous Coach, Rich Litvin says, "One advantage of me spending so much of my own life feeling powerless is that I now quickly see how powerful people are." Same here. 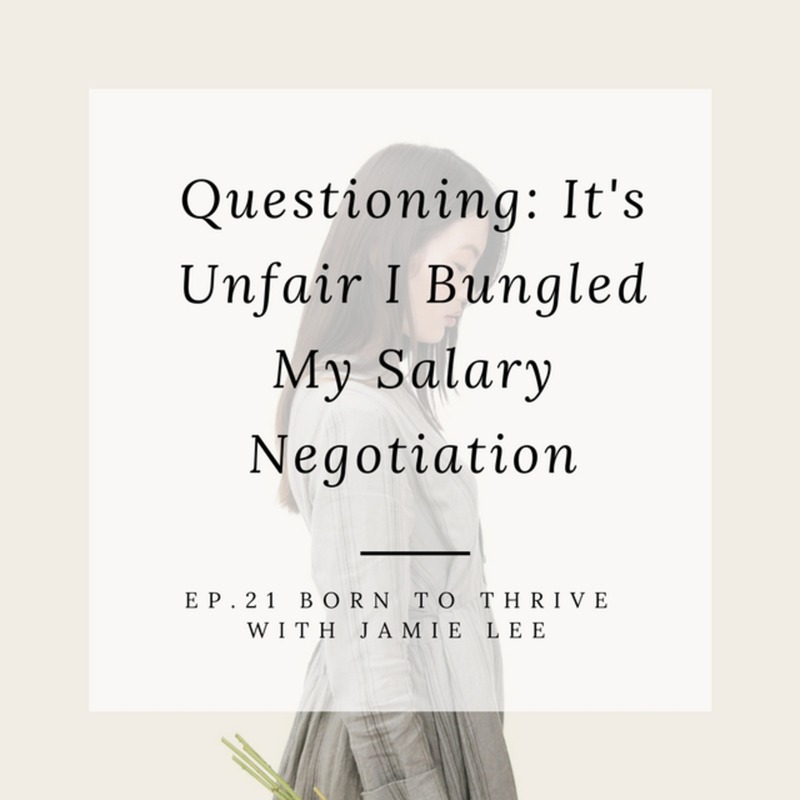 In this episode, I share my experience bungling a salary negotiation that left me feeling powerless and resentful. I question my own negative beliefs that held me back from speaking up and asking for what I wanted. If you've ever felt small, powerless, and resentful at work, you'll want to check this out. The good news: Local governments (CA, OR, MA, DE, Philadelphia, and NYC) are taking the lead in banning salary history question ("What did you make in your last job?") that perpetuates the gender wage gap. The bad news: Bad hiring practices still dominate most of the country. Check out the podcast for three concrete strategies and scripts for sidestepping the dreaded question so you can get paid for your value, not for an irrelevant past. 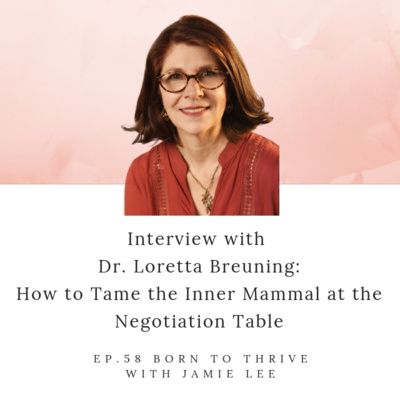 According to Ivy League experts in behavioral psychology, how you *feel* about the negotiation process, partner, and your negotiation capabilities have an outsized impact on your negotiation success. Contrary to popular misconception, emotions rule in negotiation. Smart negotiators prepare a logical case. Masterful negotiators use advanced emotional intelligence to connect with their counterparts in a meaningful way to create durable agreements that unlock benefit for both sides of the table. --- This is an hour-long advanced teleclass for women on the rise, who want to master advanced emotional intelligence so they can negotiate with thriving success. In this tele-class, I teach: - How to deal with negative emotions, so you don't get sidetracked, antagonize your negotiation partner, or sabotage your outcomes. - How to generate positive emotions, so you can create goodwill, enhance your relationship, and generate best possible negotiated agreements. “How you feel doesn’t matter.” “Women are emotional and therefore make terrible negotiators.” “Your feelings are a weakness.” All false. To feel is to be human. To have emotional intelligence is to have a secret weapon in a negotiation. 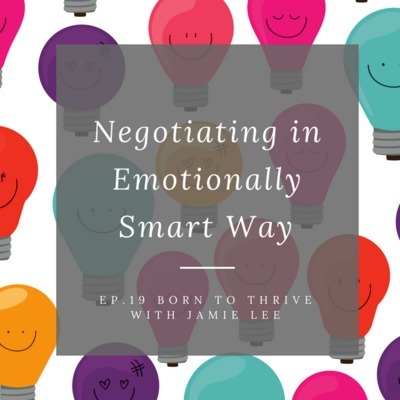 I explain the importance of feelings in negotiation and invite you to join me for a free teleclass on using advanced emotional intelligence for negotiation success. Go to jamieleecoach.com for details and to register. Ep. 16 Kathlyn Hart: Desire More. Earn More. Give More. 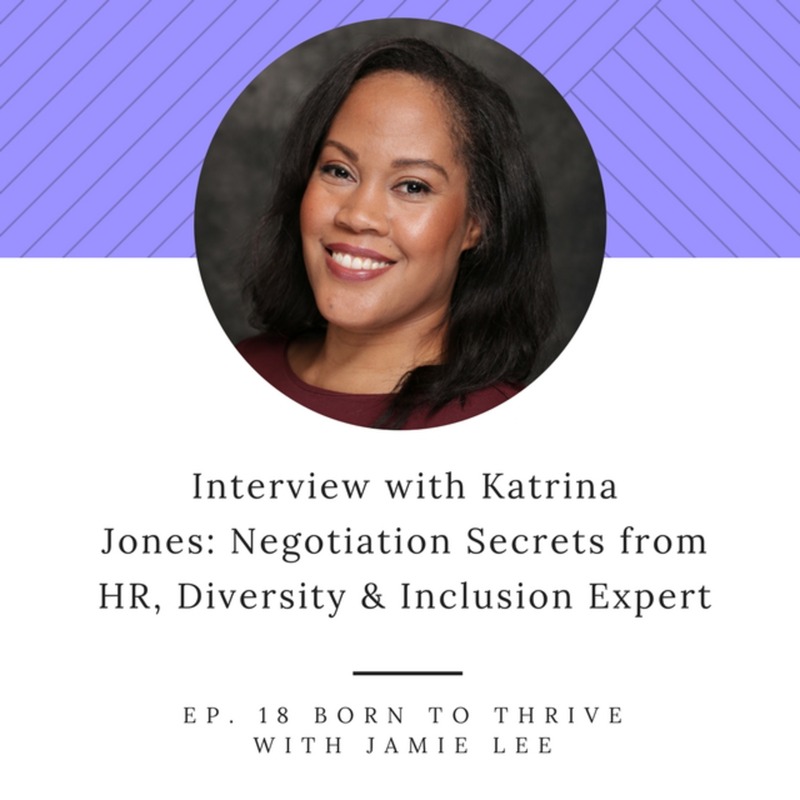 My special guest Kathlyn Hart is creator of Be Brave Get Paid, a salary negotiation bootcamp for women. In addition, she hosts The Big Leap Show podcast where she interviews badass women about the journey from dreaming to doing. 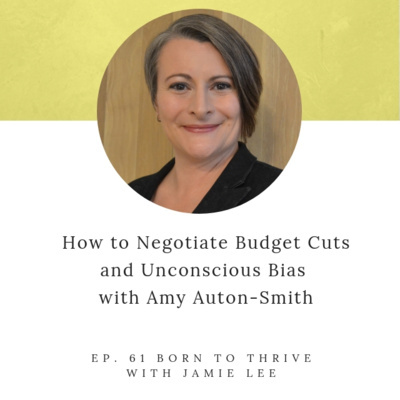 She shares the biggest lesson she learned as an "aftermath of a terrible negotiation" in her freelance career and how the biggest hurdle to negotiation success is often our money beliefs. Is it true that misery fuels success? Where does the myth come from and how does it impact the lives of people we love? Why do we compare our success to other people’s shiny outsides? What does Joy and Meaning have anything to do with negotiation success? Find out and hear my personal story in this episode. Is it true that women don’t like to negotiate? I share evidence that the tide is rising for women. I also explain Tiara Syndrome, its impact on our negotiations, and the definition of value that generates money. 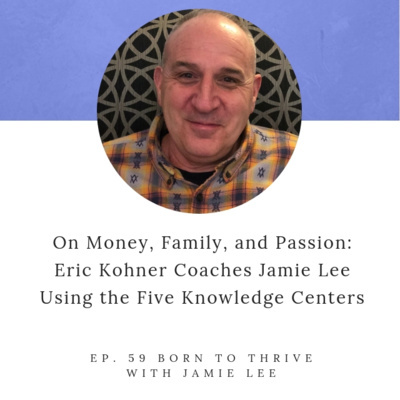 In this episode I get personal and share where I come from (South Korea), how I became a coach for ambitious women, and what it means for you. Then I wrap it up with some baller lady brags. What’s your baller lady brag? What are the negotiation secrets of women leaders in the automobile industry? I share inspiring insights from the Women in Automobile Networking Breakfast at the New York Auto Show and talk about how you can apply these insights to gain the upper hand in your career negotiations. Does the thought of negotiating for yourself make your hands go clammy, your throat dry and your heart beating fast? 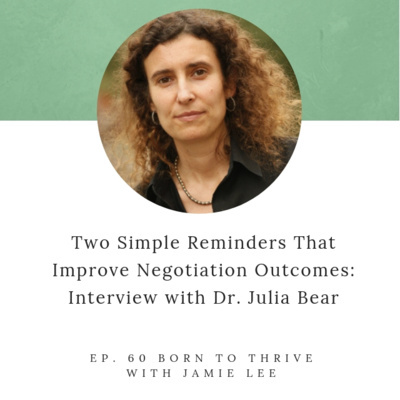 I share the good news about negotiation anxiety, the tough news (not bad, just tough) and a five minute exercise for overcoming anxiety so you can take confident action towards your goals. I share a quick and fun exercise for crafting your unique value statement so you can #negotiate with power and poise. I also offer my free script “How To Ask For A Big Pay Raise”. 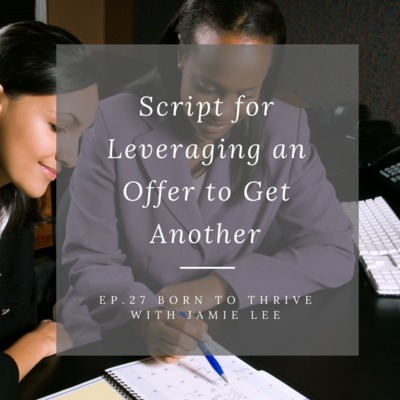 Email me at jamie@jamieleecoach.com for the free script. How do you articulate your value at the #negotiation table, so that you can ask for a big pay 💰 raise? I share three approaches and offer a free script on How to Ask for a Big Pay Raise. Ep.8 What are 5 Key Practices for #Negotiation Success? #Negotiation skills are #leadership skills. Conscious leadership and value-creating negotiation both require self-awareness, learning agility, communication and influence. I share my definition of negotiation and five key practices for negotiation success. “But I don’t want them to think I’m bragging.” I hear this a LOT as a negotiation coach for women. In this episode, I share concrete tips for overcoming the fear of judgment that holds us back from speaking up, advocating for our value and confidently negotiating for what we want. Listening, true ❤️-❤️listening is so RARE these days🤷🏻‍♀️That’s why when you master the 3️⃣Levels of Listening, you’ll become influential, respected and magnetic to the people you engage with. 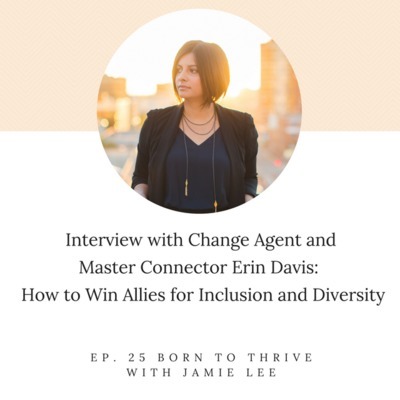 In the fourth episode, I share top three lessons on how to speak to impact social change. This is also a recap of the advocacy workshop I led for Global Network of Women Peace-builders to an audience of feminist activists who have gathered for the 62nd Commission on the Status of Women at U.N. The lessons are 1. Connect with your Why; Connect with your Fire 2. Don’t Force; Guide the Listener to a New Understanding 3. Tell Compelling Stories; Share Your Story. I think these lessons can be applied to anyone who wants to advocate, communicate and negotiate to impact change in their lives, their careers and their world. 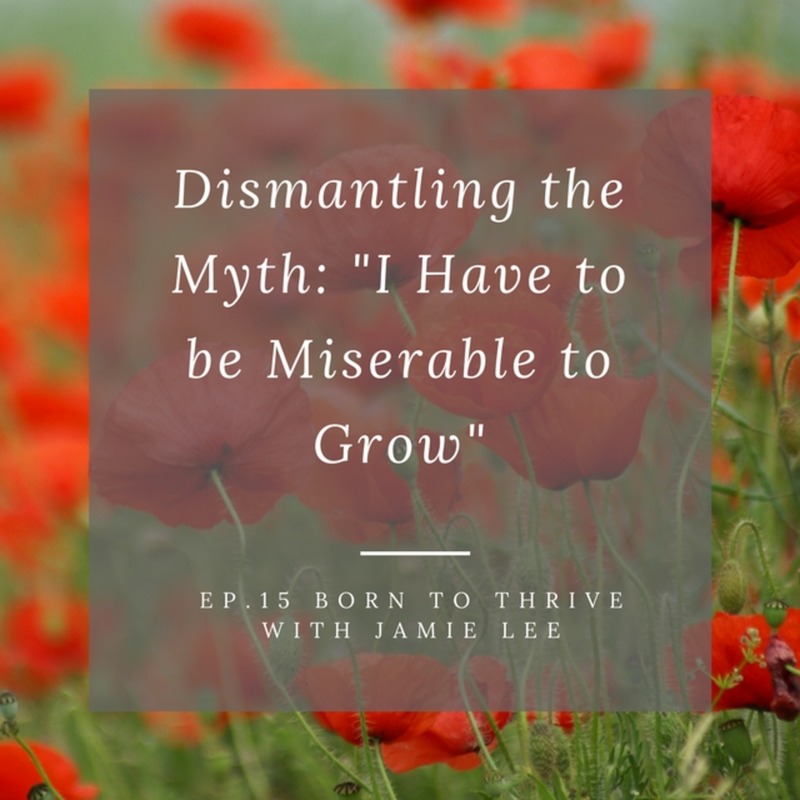 Welcome to the third episode of Born to Thrive. In this episode we explore the trap of perfectionism and the voice of Itty Bitty Should-y Committee. Then we break down communication into four parts, so that we can focus our energy and attention on the parts we can control and not worry over things not in our control. 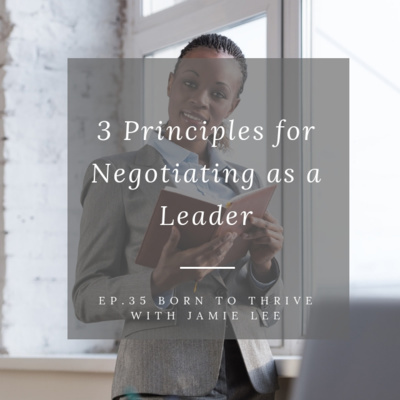 In the second episode of Born to Thrive, I address three most frequently asked questions that I get as a negotiation coach for women. 1. Who goes first in giving a number (you!) 2. What if my employer questions your loyalty? (They don’t pay for your emotional labor) 3. How do you respond to a lowball offer? (I offer a script for responding to this in this podcast). Enjoy! Hi! 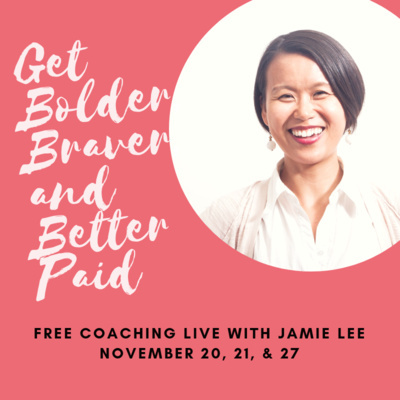 My name is Jamie Lee and I am a coach and speaker dedicated to helping women become bolder, braver and better paid. I present three key steps for organizing a winning speech, which are 1. Big Idea 2. Premise 3. Call to Action. To give an example, I present my big idea that we are born to THRIVE and present three sub points to support that idea. I’m sure there are tons more I hadn’t yet thought of, so feel free to comment and let me know how else we as humans are born to thrive (vs just survive and get by).